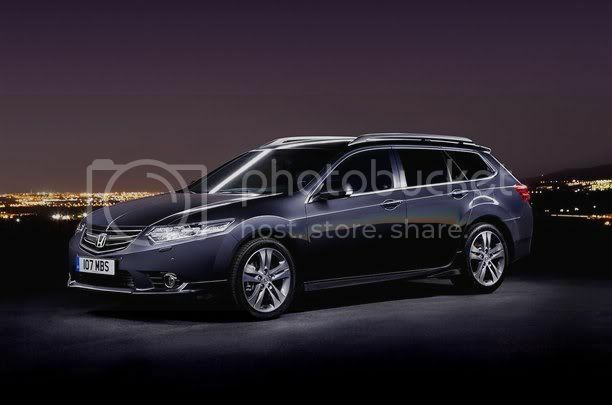 Honda has revised its popular Accord mid-sized family car for the 2012 model year. The facelift includes minor exterior and interior changes, reworked engines, and chassis alterations. The 2.2 i-DTEC engine now emits 138g/km for the manual sedan, down by 9g/km from 147g/km, 11g/km drop from 170g/km to 159g/km for the automatic sedan, and 10g/km tumble from 153g/km to 143g/km for manual transmission wagons, thanks to internal friction losses. Torque and engine power output remains untouched at 350Nm (258lb-ft) and 148bhp (146PS/110kW). The 2.0 i-VTEC models sport aerodynamic revisions. With a manual transmission and in sedan body-form, a CO2 figure of 159g/km, down 9g/km from 168g/km, is achieved. In order to improve NVH (noise, vibration, harshness) levels, Honda has had its Japanese based engineers working with those in the UK and Germany. This has resulted in higher density foam under the bonnet and dashboard to enhance refinement. Externally, new headlights, grille, air-intakes, bumpers, and fog lights will feature. On sedan models, chrome trim will sit above the number plate on the bootlid. Internally, dark silver and bright silver trim accents will be used on the handbrake and door handles. EX models obtain illuminated footwells. On ES, and ES-GT trim-levels, redesigned 17” alloy wheels and three new colours will be offered; Alabaster Silver, Graphite Lustre metallic and Celestrial Blue Pearl. New technology like Active Cornering Lights and High Beam Support system will be standard on Accord’s equipped with bi-xenon headlights. 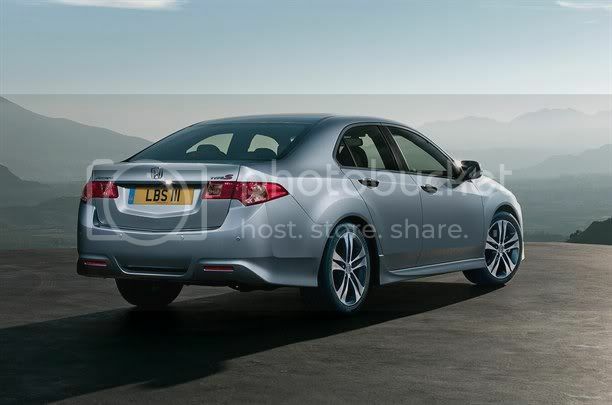 The facelifted Accord will premier at the Geneva motor show before going on sale in July 2011.